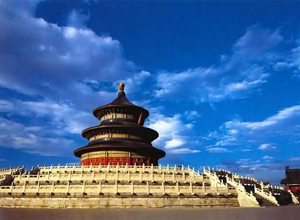 Our tour guide will pick you up from Tianjin Port, a comfortable car with an experienced driver will take you to Beijing (about 3 hours), then we’ll visit Temple of Heaven which was the venue for the Ming and Qing emperors to offer sacrifices to the Heaven and pray for harvest. Have lunch and go to Tiananmen Square, the world’s largest city center square, afterwards, visit Forbidden City, the imperial palace for twenty-four emperors during the Ming and Qing dynasties. When we end today’s tour, you will be taken to hotel. In the morning, our guide&driver will pick you up from the hotel and transfer you to Mutianyu Great Wall which is one of the most famous parts but less crowded. After lunch, we will visit Ming Tombs where lie the mausoleums of thirteen emperors of the Ming dynasty. Back Tianjin Port after the tour.